Prioritisation: Are you doing the right things? Prioritisation means knowing what you are going to do. right now, would you look back at what you had created and be satisfied, or would you wish you had put the effort into something different? Knowing what the priorities are as an individual and as a project at each stage is extremely powerful. It means that you know where to put your effort, you know what to do next, when you finish a task, or a task become “blocked” and it means that you know what you are _not_ going to do (at least for the time being). Prioritisation: How should you decide your priorities? You can do it on the basis of maximising benefit or minimising risk or cost or any other criteria you decide. Those in authority (which might or might not include you) should discuss the priorities (that includes having a good argument about them) for phase of the project you are working on, agree what the priorities are and then stick to that plan. M= Must have. There should only be one or two “Must haves” for each time-box. W=Won’t have (this time around). This approach concentrates on the “Must Haves” and only starts on the “Should Haves” when they have been completed. If you get it right, you run out of time or budget ideally somewhere in the Could haves (if you do well) or in the Should haves (if you make less progress than you hope). Make sure that when someone calls “stop!” you (and everyone else) thinks they have received good value for your efforts. 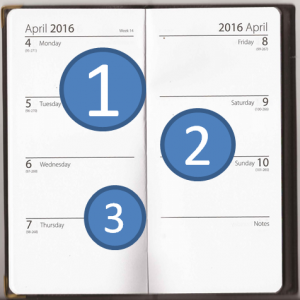 Author Tom GilliesPosted on 2016-04-04 2016-10-04 Categories 2016, January, Project Management, WinterTags planning, project managementLeave a comment on Prioritisation: Are you doing the right things? What do you do when things go well? Make a new plan! A little while ago I shared my “Tactical Plan” with you. Things have gone well! So well that some of the projects have been completed much sooner than I expected. Some of this is down to good luck and having estimates which were not much better than guesses. The question is: what to do now? I expect we are all (painfully) familiar with the situation where a project is slipping behind the intended schedule. Sometimes the reasons are the same as the reasons for my success: luck, inaccurate estimates and sometimes “force majeure”. After the inevitable struggle to get back on track by cracking the whip, the response is usually to re-plan. That is exactly what I have done in response to my recent success. Here is the redacted version of my latest tactical plan. In structure it is identical to its predecessor. The changes are in the bits you cannot see. The objective was not achieved last time (but that would have been a miracle). So that has remained unchanged. The “Marketing” project from last time has completed. It’s objective was to create something new. That has been done. Now I have a new project to use what was created by that project as part of a regular activity. I still call it a “project” because it certainly hasn’t become “business-as-usual” yet. I hope it will do eventually. The “Administration” project from last time has been completed. It was necessary, and it is making things work more smoothly, but it is complete and there is no need for follow-up. The completion of the “Administration” project has created an opportunity to start something new in the “Marketing”. That has already thrown up some interesting ideas, but the Tactical Plan is reminding me to focus on my current objectives. The new stuff can be considered for the next plan. The tactical plan is part of the project wiki (I may show you a little more of that in the future). It is visible to all the contributors and I have a printed copy above my desk, a little to my left, as I type. It is great as a means of reminding us all (especially me) what we have agreed we are concentrating on. 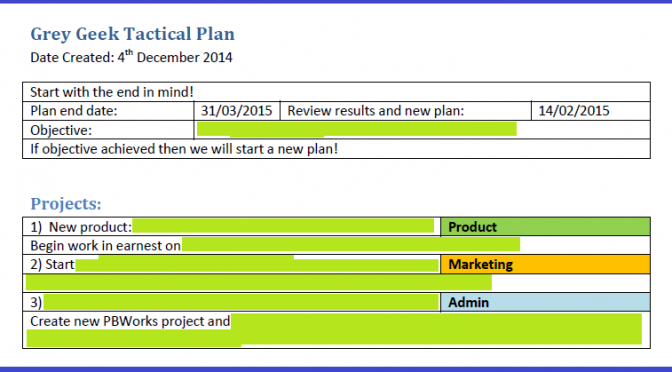 Author Tom GilliesPosted on 2015-01-19 2015-11-13 Categories 2015, January, Project Management, WinterTags planning, project managementLeave a comment on What do you do when things go well? Make a new plan! Do we learn from our mistakes? Because if we don’t, or at least if we don’t try to learn from our mistakes, then the activity is essentially futile and we would be better doing something else instead. I think that the IT industry is particularly bad at this. We have very little sense of history. We claim to be making progress – but are we? Here is one person’s attempt to write down an outline of that history. I can’t say I agree with it entirely. In fact I haven’t really tested it critically. But do think that it is a worthwhile effort to present one view of that history. Why do I think the IT industry is bad at learning from it’s mistakes? Why do I think the IT industry is bad at learning from its mistakes? Basically, I think this because I frequently get a feeling that “I’ve seen this before”. Now there is no doubt that a lot of progress has been made. A lot of that progress is down to “Moore’s Law” which has enabled whole industries to sprout, bloom and flourish. The reducing cost of hardware in general and processing power, storage and communications has enabled things to happen which while they were conceivable, were hardly practical just a few years ago. This blog and the thousands like it are an example of that. But, if you look at various internet forums as I do, you will find recurring themes which I am going to share with you here and I may pick up as topics at some time in the future. The thing is that many of these meta-topics have been running for donkey’s years! How do we write “requirements” so they are understood by the people who want the system and also by the people who are going to build the system? How do we create things so that people get what they are expecting? How do we estimate how long it is going to take us to do (practically anything)? 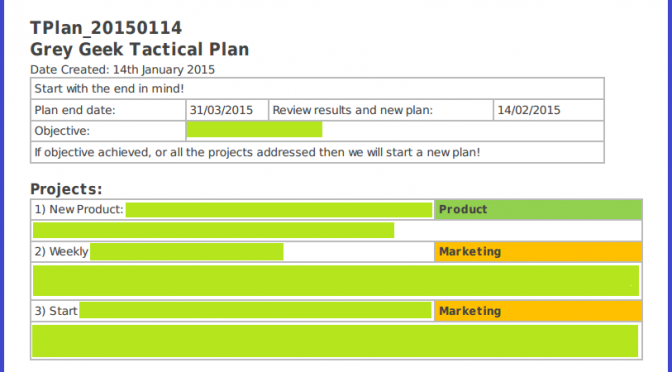 How do we manage a project so that it comes in “to specification, on time and on budget”? How do we prevent “silly little bugs” creeping into the system? Maybe you have some ideas for other topics in the same area, or maybe you have some solutions to some of these conundrums. Author Tom GilliesPosted on 2015-01-12 2015-11-13 Categories 2015, January, Project Management, WinterLeave a comment on Do we learn from our mistakes? It’s always good to have a plan! 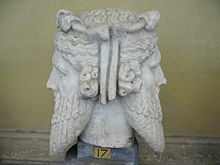 Janus is depicted as having two faces and was the god of doorways and gates. He looked both inwards and outwards, forwards and back. In my opinion Janus is a good character to bear in mind when writing plans and reviews. 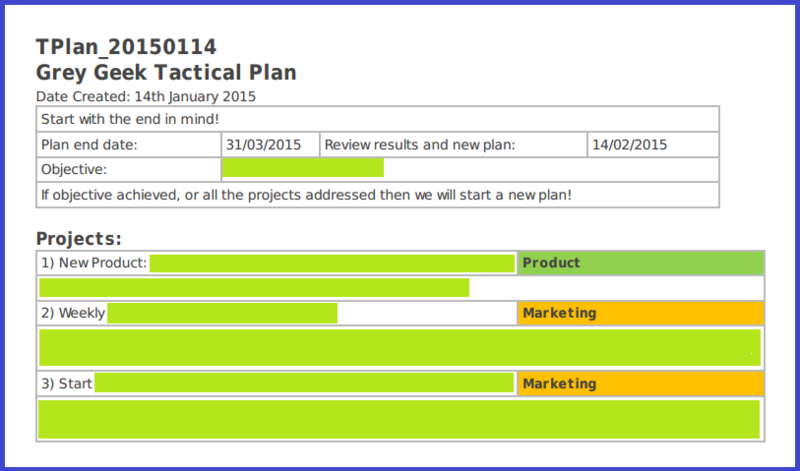 In the middle of 2014 I decided that it was high time that I wrote a “Business Plan” for my little business. I’ve done this sort of thing before for other people, but it feels a bit different when it is for yourself. Before you start writing (or even researching) any document, it is a good idea to decide who you are writing it for. In this case the answer was: for ME! That’s right – for myself! Of course, I may want to present it to potential investors or business partners but I am the person making the largest investments in terms of effort, time and life. If I think I am going to be wasting my time and effort, I want to find out now, so I can do something more rewarding. Motivation – Why was I doing this? Why was I excited about it? The current position of the business – In terms of product and sales. Product – What is the product? Market – Who buys the product? Industry – What is happening in the industry I’m involved in? Where is the growth? What resources and capabilities do I have access to? Constraints – What are the restrictions that I want to apply to the business? Predicting future sales is always difficult. In the end, I didn’t try and make predictions. Instead I projected the past performance into the future and then identified the ways I could improve it. I also identified high and low levels which I could use to plan potential investments. 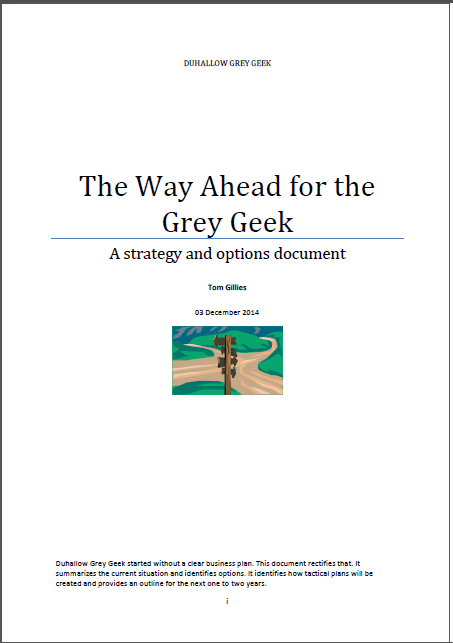 The “Strategic” document I’ve produced, documents the facts and identifies the options. On the basis of the information available, I’ve picked some things I am going to do (in fact, I’ve started doing them already) and created what I term a “Tactical Plan” for a fixed term. I’ve going to “do the actions” in the Tactical Plan and monitor the results. Towards the end to the period of the plan I will review the results and decide what to do next. Is it all going to work? I don’t know. What am I going to do? That would be telling! Keep watching and you’ll find out. Author Tom GilliesPosted on 2014-12-30 2015-11-13 Categories 2014, December, Plans, WinterLeave a comment on It’s always good to have a plan!